Welcome to Rainshield Roofing and Construction Inc. Your choice for reliable Roofing, Siding and Weatherization Services. When we opened our doors in 1988, we made a commitment to providing our customers with high-quality roofing, siding and weatherization solutions at competitive prices. 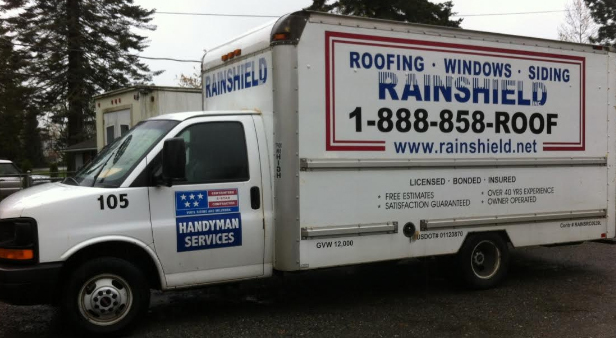 More than 27 years later, our team at Rainshield is still doing just that. Our installers treat every project as if they were working on their own homes. We have been in business over since 1988. We have full time office staff. You can reach our emergency service line 24 hours per day. We are NOT a franchise; we are locally owned and operated. 80% of all new business comes from referral. We are Certainteed SELECT Shingle Masters. We Partner with some of the best manufacturers and suppliers in the industry. We are proud to support and give back to our local community by supporting many charitable organizations. We reduce, reuse and recycle as much as possible to help save the environment.